A lot Apple fans would like to convert their DVD movies to iTunes supported video format like .MP4 to sync DVD videos to iPhone, iPad, iPod and Apple TV. However, iTunes only allows users to import CD yet not DVD. the DVD is usually in MPEG-2 or VOB format with CSS copy protection, this tutorial will show you how to remove the CSS protection and then convert DVD to MP4 or MOV video for the latest iTunes 11. In order to convert DVD to videos you need a 3rd part program - DVD ripper software to rip your DVD to iTunes 11 supported video formats like MOV, MP4. People probably ask that is there any free program to convert DVD videos for iTunes? Sure, you have one referred to as Handbrake. It supports non-commercial (unprotected) DVDs with proper codec added. However, most of your purchased DVD movies are CSS protected, so you need a professional DVD Ripping tool. It will help you convert any DVD movie to Apple iTunes 11 compatible videos formats with few clicks. Note: For Mac users, you can Download DVD Ripper for Mac. Insert DVD Disc into DVD-ROM drive.Cick "Load DVD" button to import DVD. Additionally you can upload ISO file or IFO files respectively. Select "MPEG-4 Movie (.mp4)" since the output format for the iPod or iPhone in the drop-down listing of "Profile". Select an output path as the destination folder for that converted DVD videos. Click "Start" to convert DVD to iTunes, you may also preview the converted movie in the pop-up window. 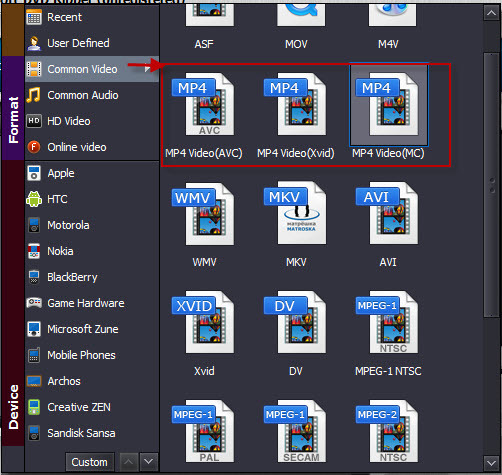 When the DVD conversion is done, you could click "Open" button to locate your converted DVD movies quickly. Just drag-and-drop the converted video file to iTunes. Now you can sync converted videos on your iPod, iPhone, iPad and Apple TV.